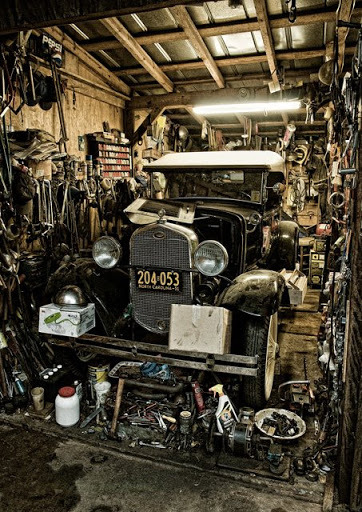 Model A Ford… Barn Find? I went out one afternoon with the intention to buy some chickens, and stopped by a local man’s home/business. He did indeed have chickens, but while I was there, he also offered to show me part of his old car collection. He opened the door to small garage and I saw the scene above. To the right of this car was another door with a similar vehicle behind it. I’ve always heard stories about barn finds, although I guess you would have to call this a garage find.